Picture credits: Wikipedia, full details are on the relevant posts above. 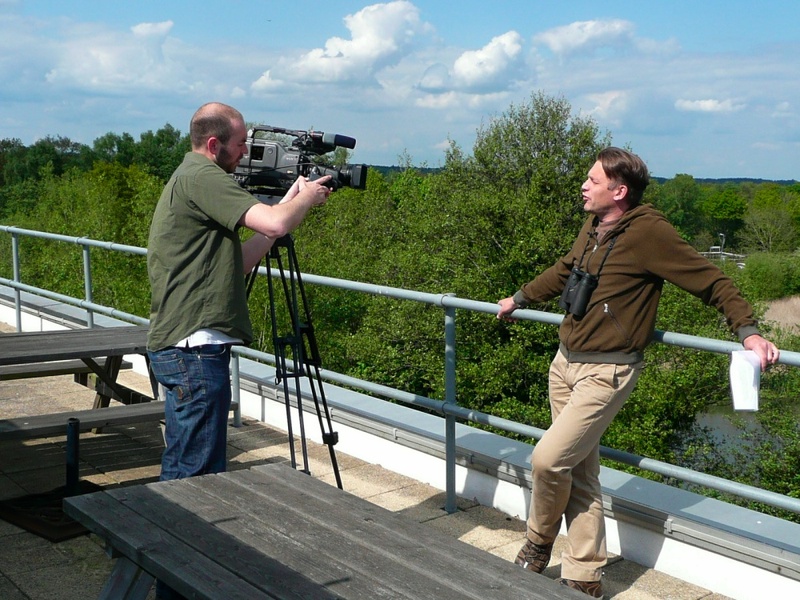 On Monday 17 May, Chris Packham paid a visit to Fleet Pond to take part in a video shoot. Chris is the Patron of Fleet Pond Society (FPS) and is regularly seen on BBC TV in wildlife programmes such as Springwatch. The video, being produced for FPS by the local company Big Yellow Feet, will be part of the Clearwater Campaign and will be available shortly on this blog, YouTube and the FPS web site. For information on the reason for the Clearwater Campaign please see the brochure ( Clearwater-Side-1 and Clearwater-Side-2 ), various posts on this blog and here. There were two main shooting locations – one on top of the Conair building on Waterfront Business Park, near the railway station, that borders the pond and allows some spectacular high-level views and also the popular location, Sandy Bay. We’re very grateful to the Finance Director of Conair for allowing us to shoot the video from the top of their building as well as to Conair staff for being helpful and welcoming on the day. After filming at the Conair building, we moved on to Sandy Bay, where we were joined by three of Hart District Council’s Countryside Rangers. In the photo above we have from left to right: Byron Vaisey (video), Chris Packham, Terry Austin (FPS and script) and Rangers, Tim, Leigh and Joanna. At the end of the shoot, when Chris was saying his goodbyes, there was an amusing chat between Chris and the Rangers Joanna and Leigh as it turned out that they had been inspired by some of Chris’s earlier programs on the TV, including the ‘Really Wild Show‘, to take up a career in conservation, wildlife and the environment! The video will be available for viewing in the next few weeks. 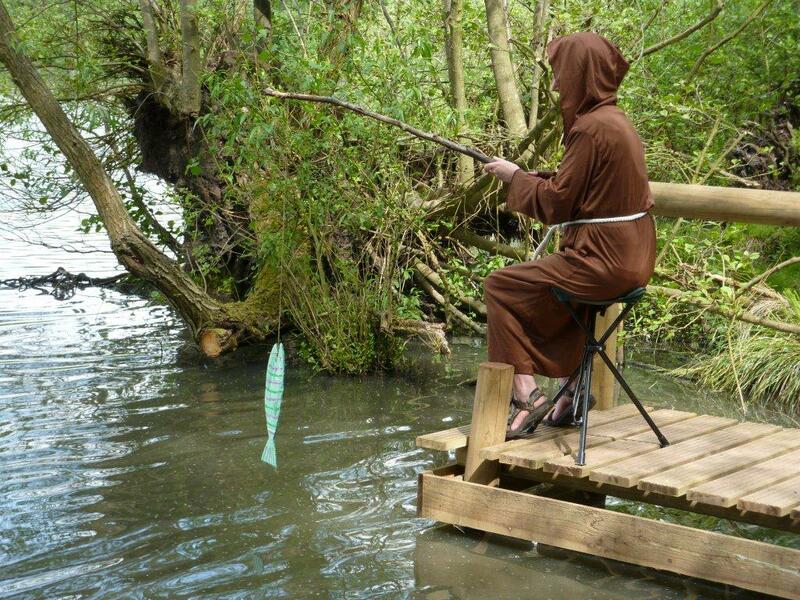 Monk Seen Fishing At Fleet Pond! For some more background, see here and here! 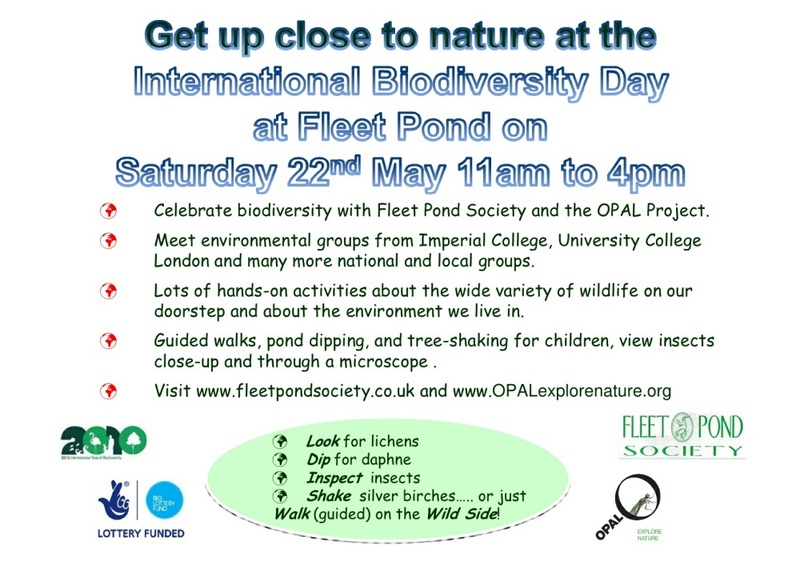 International Biodiversity Day at Fleet Pond! We’ve got a fantastic, free event for the public to celebrate International Biodiversity Day on 22 May. It’s in conjuction with the national, Lottery-funded OPAL Project and will be an exciting ‘hands on event’. 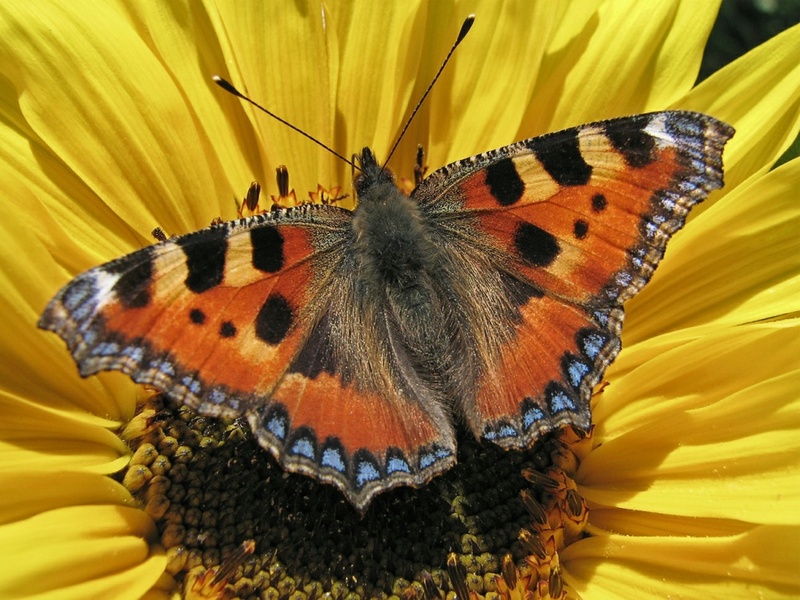 The many and varied groups attending will be showing visitors what they do to help look after the environment. We hope this will inspire more people to enjoy and care about their local environment. Activities are centred around the Picnic Area but there’s also stuff to do at Sandy Bay and Boathouse Corner (see map here). 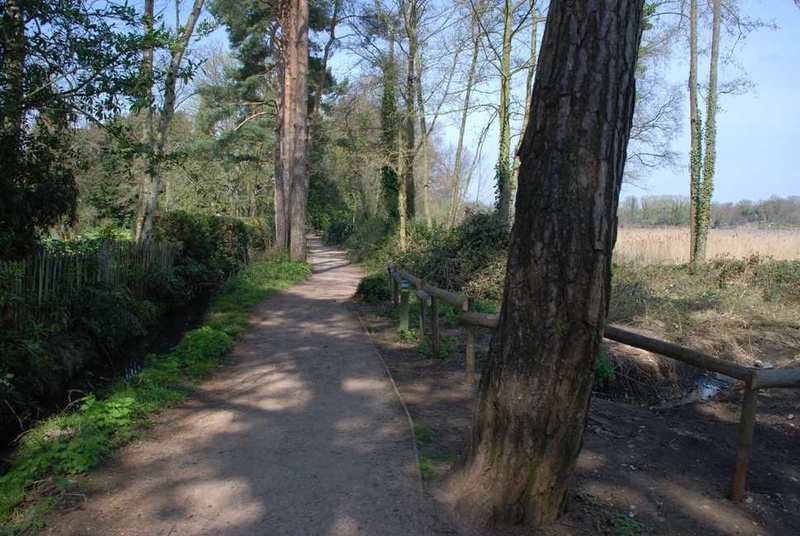 At 2pm there will be a guided walk from the main car park in which visitors can find out about the exciting happenings at the Pond over the past thousand years. The event runs from 11am to 4pm at Fleet Pond Nature Reserve which is next to Fleet’s mainline station and 5mins from Junction 4a of the M3. The reserve centres around Hampshire’s largest freshwater lake which has important reedbeds, marshes as well as lowland dry heathland. “Parts of our nature reserve are not now classified as in an horrendous state, but a major part still is! So we still have a long way to go – which is what our Clearwater Campaign is about. Up to this year Natural England had always classified Fleet Pond as one SSSI unit and that it was 95% deteriorated and still deteriorating. We and the Rangers had felt this did not take account of the significant work done by FPS volunteers and the Ranger Service to upgrade the wetland (reedbeds and marshes) and heathland and return them to high grade SSSI status. 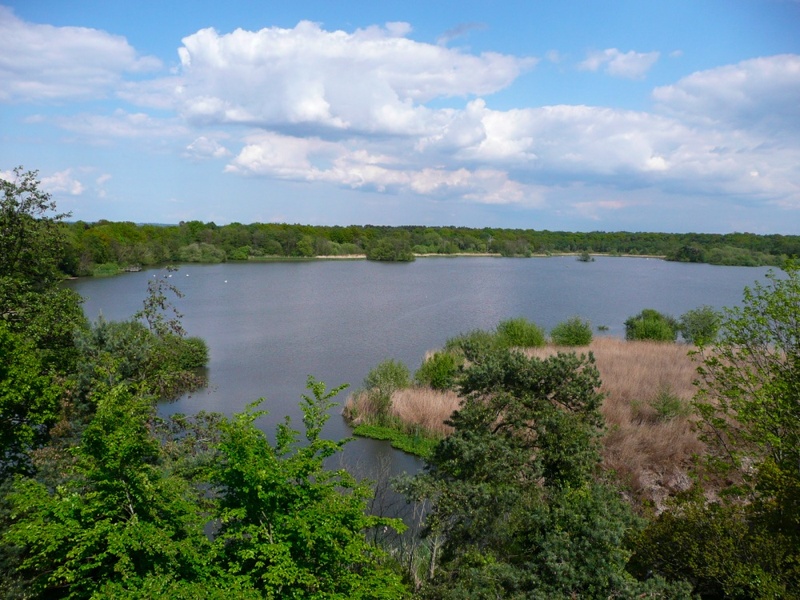 Natural England has now divided Fleet Pond reserve into units so that each of the habitats can each be assessed on their own merit. The wetlands and heaths are now classified as “deteriorated but improving” (it takes several years for our habitat work to show full effect) but the Pond itself remains 95% deteriorated and worsening. This has two implications: first we should now be concentrating efforts on restoring SSSI quality to the Pond. It also means that unless we do restore the Pond it will eventually have serious impact on the “improving” nature of the wetlands. They rely on the Pond both for saturation levels but also to deter intrusion and disturbance. The improving wetland habitat therefore remains at risk if the Pond continues to deteriorate. So what does this mean? We can’t rest on our laurels and need to keep on top of managing the heathland and wetland habitats. And we need to ramp up efforts to improve the state of the Pond itself. 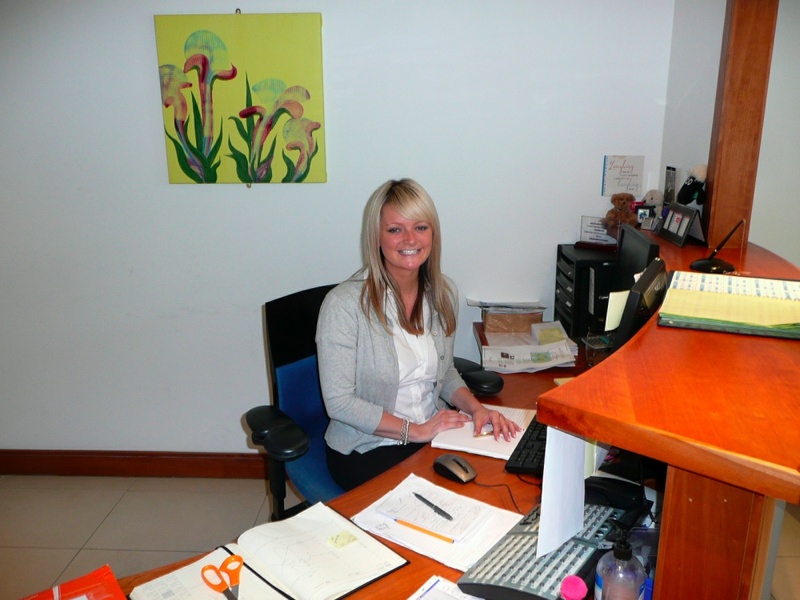 This is what our Clearwater Campaign is all about and we’ll keep you in touch with how that progresses. Here’s a brochure (Clearwater-Side-1, Clearwater-Side-2) to help you understand more of the situation. 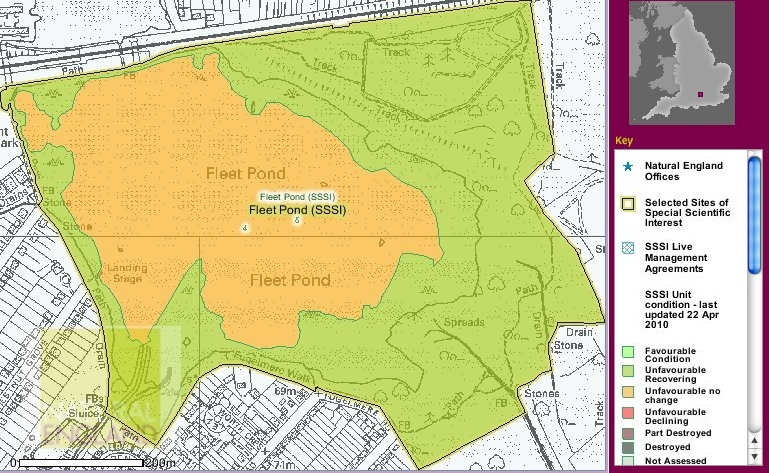 For further information on the environmental status of Fleet Pond, see the Natural England site here (see also picture above taken from this site). A previous post on a depth survey of Fleet Pond is also very illuminating. 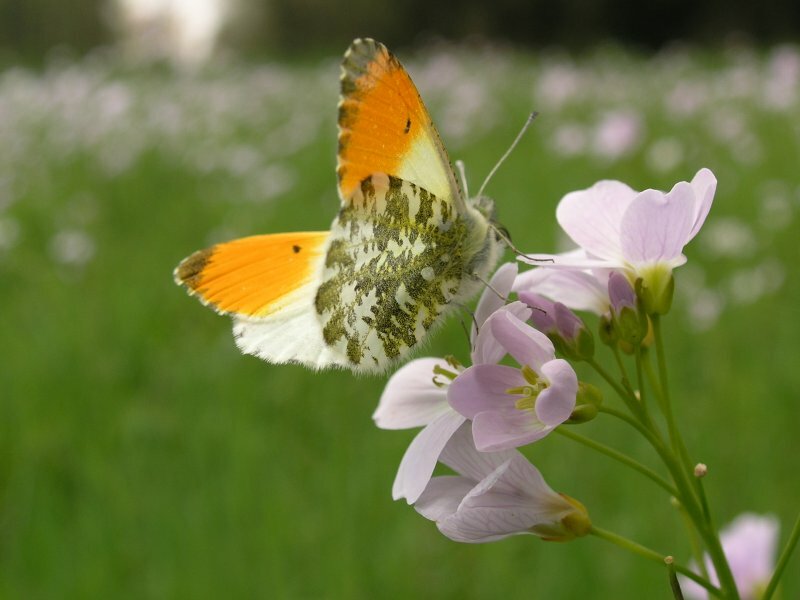 SSSIs are the country’s very best wildlife and geographical sites. They include some of the most spectacular and beautiful habitats; wetlands teeming with wading birds, winding chalk rivers, flower-rich meadows, windswept shingle beaches and remote upland peat bogs. There are over 4,000 Sites of Special Scientific Interest (SSSIs) in England, covering around 7% of the country’s land area. “At Chestnut Grove the rangers were asked to reopen that ditch that Adam and I sealed off. I have explained to the rangers why we sealed it. The area however now looks a mess and the open aspect has been allowing people and dogs to access the reedbed. As you can see, a good job was done! We recently organised a very successful meeting with the organisations who have an interest in seeing the Pond brought back to its former glory. 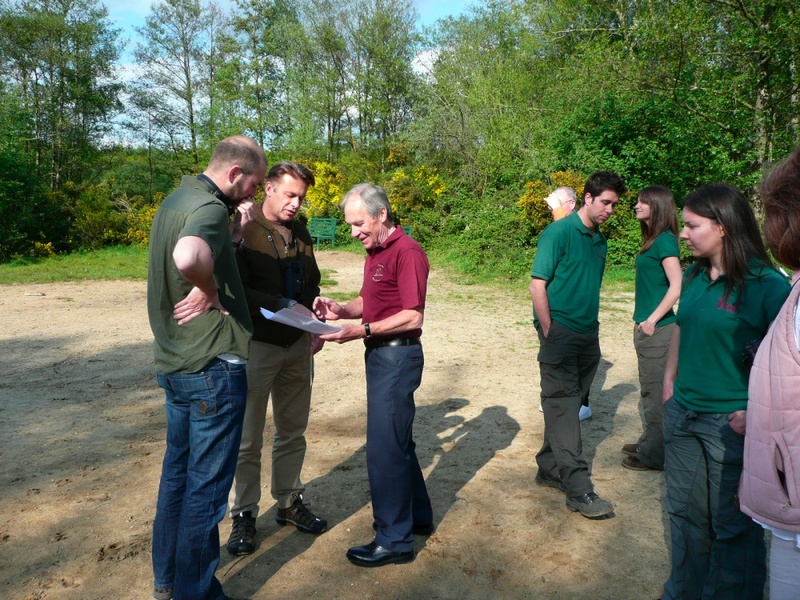 Hart District Council kindly hosted and attended, together with their Rangers Service. 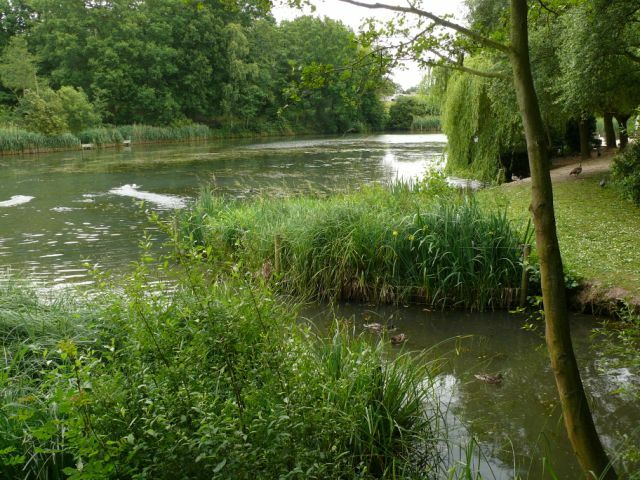 Natural England, the body with the oversight of our natural habitats came along as well as the local Environment Agency Conservation team, who lead on fisheries. The Wildlife and Wetlands Trust also sent a representative as the Pond is the kind of habitat they want to see thriving. The aim of the meeting was to hear from Aquatic Engineering, a well-established ecological consultancy. 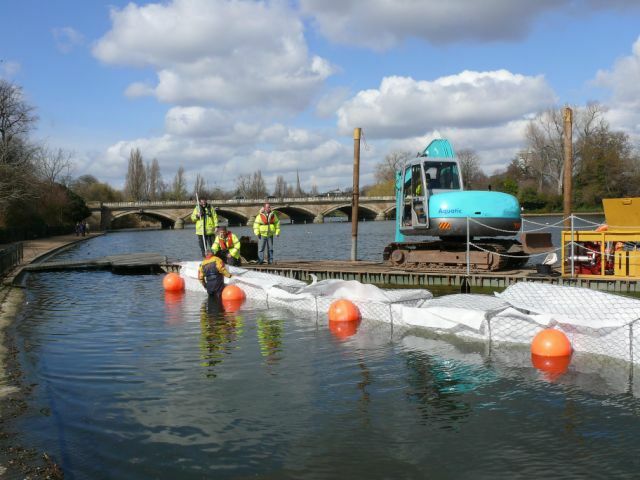 They come highly recommended by the Environment Agency who they’ve worked with on restoring several major, water-based habitats. They’re just finishing a job off on the Serpentine for the Royal Parks. They and their partners, Ecosulis, are keen to help us move forward with a sustainable solution for the Pond. And they have offered some of their time pro bono. They explained to us about solutions that are now available to reuse much of the unwanted silt that would come from dredging the Pond. 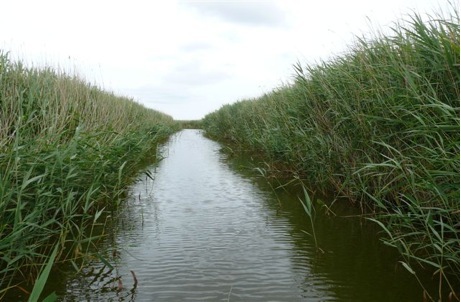 We could create some new ‘dry’ and ‘wet’ reedbeds as well as a more permanent version of the ‘tern islands’. Of course any solution would need to cope with any further inflow of silt and detritus through the Gelvert and Brookly Streams. And there’s quite a science to creating reedbeds to cope with these pressures, as well as Canada Geese, if we want to attract wildfowl back in large numbers. Wouldn’t it be great to hear Bitterns booming again – that’s quite possible. A Healthy Reedbed Corridor – Bitterns Love Them! We were all very impressed with what Aquatic Engineering showed us. They agreed to take their ideas a little further so we can get an idea of the cost of the possible ways forward. We look forward to being able to share these ideas further with local people so they can give us their views, and very importantly, their support. 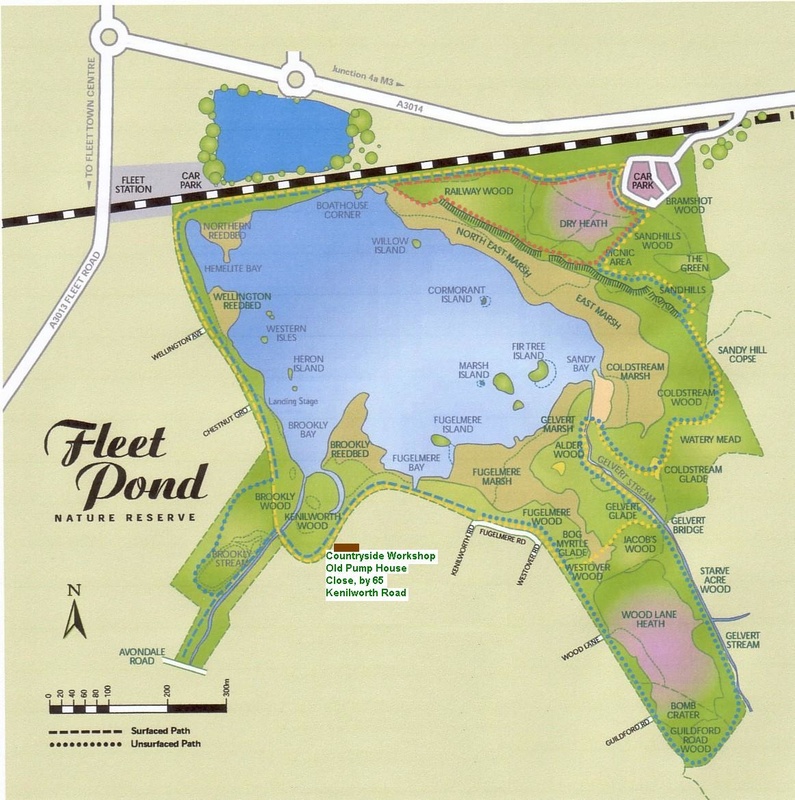 You are currently browsing the Fleet Pond Blog blog archives for May, 2010.